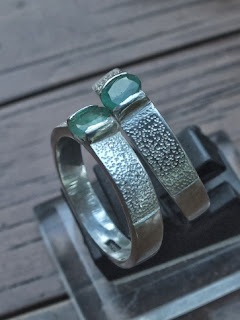 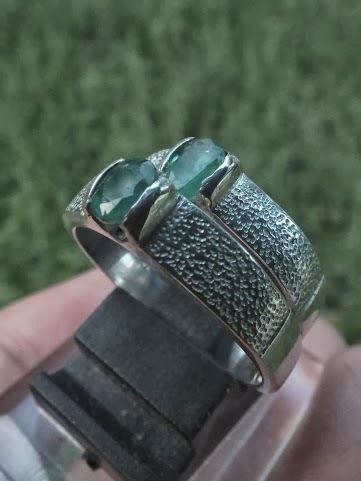 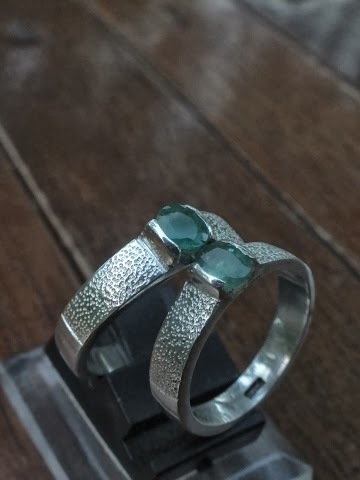 These beautiful natural Emerald rings are designed for a couple. 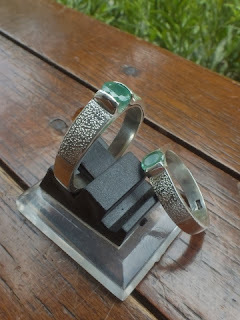 The ring size is 18mm and 14mm. 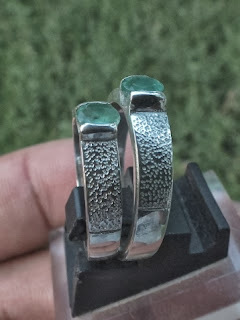 The size of the gems are (est) male: 5mm x 3,5mm x 2mm and female: 5mm x 3mm x 1,5mm. 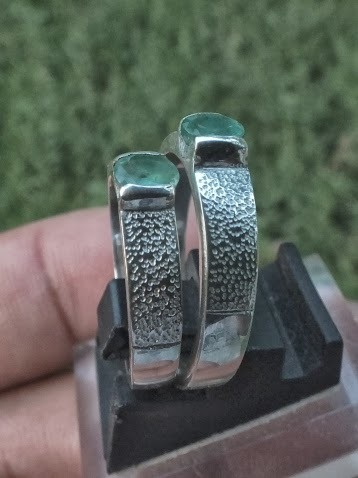 Get this beautiful Natural Emeralds set on a wedding / engagement ring now!